Mardi Gras is that period of time right before Ash Wednesday and the 40 days of Lent. It’s a time when people indulge in rich foods because they know they are entering a long period of abstinence and fasting in preparation for Holy Week. In religion classes and during Motion Monday’s Art to De-Stress, the girls reflected on what their Lenten sacrifice would be. Ideas ranged from giving up one hour of phone time to doing without chocolate. 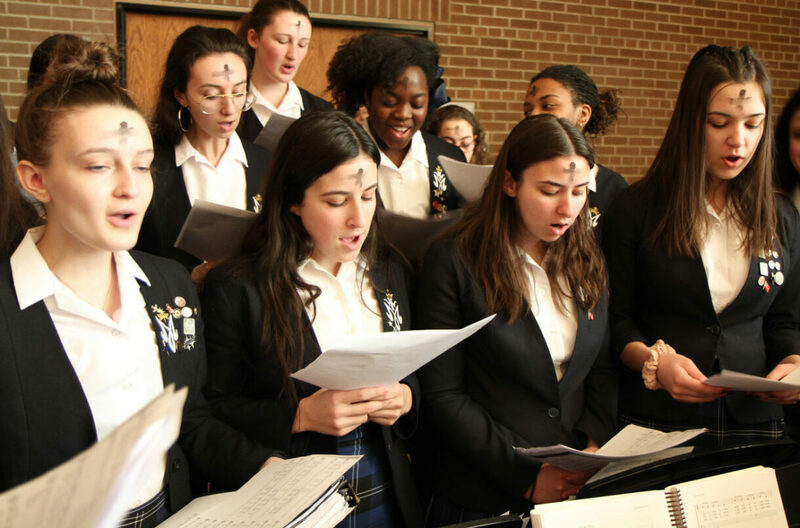 On Shrove Tuesday, students celebrated by eating delicious pancakes and four Senior School students attended the Youth Ordinandi Luncheon where they participated in workshops with more than 800 high school students from the Archdiocese of Toronto. The girls were privy to a special talk of encouragement given by Cardinal Thomas Collins himself! 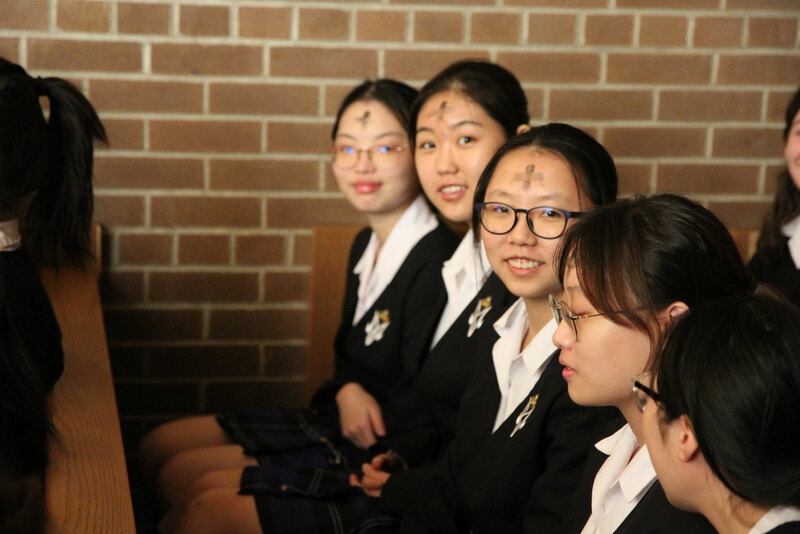 It was a special opportunity for the girls to be motivated to grow deeper in their faith, especially during the Lenten season. The girls who attended raved about the event afterwards and hope that more HNMCS students can attend next year’s luncheon. 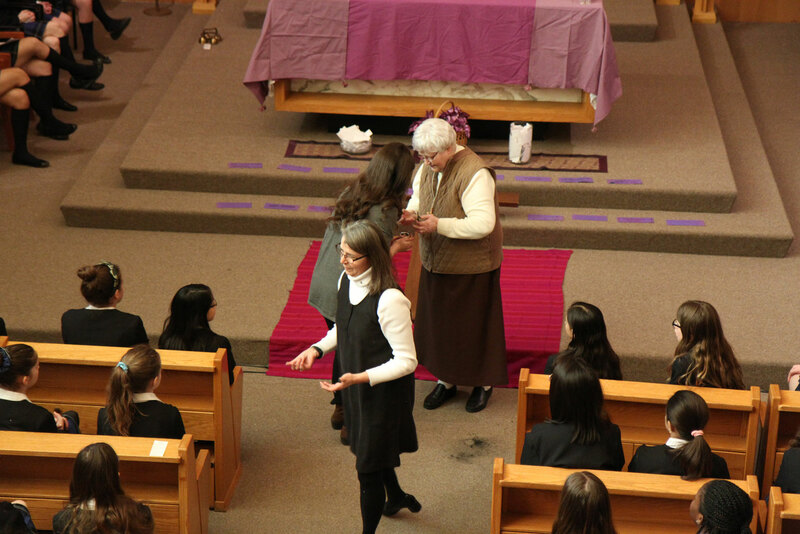 Finally, on Ash Wednesday, we solemnly entered into Lent with a liturgy and the distribution of ashes. Chaplaincy leader Ms. Caldeira-Slavec spoke about how Lent is a time to give something up in order to make more room for Jesus. It is also about taking something on, such as more prayer, reading more scripture or more time with family.